Whether you like it or not, “The Selfie” is here to stay. I find selfies fascinating. 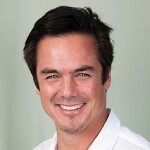 Not so much for myself, although I do take them now and then, but for marketers. The Selfie provides an excellent opportunity for marketers to support an activity that people are already doing and integrate themselves into existing conversations in authentic ways. With selfies, brands can encourage fans to become part of an insta-community built around an activity or theme that is on brand and serves a specific strategic purpose. 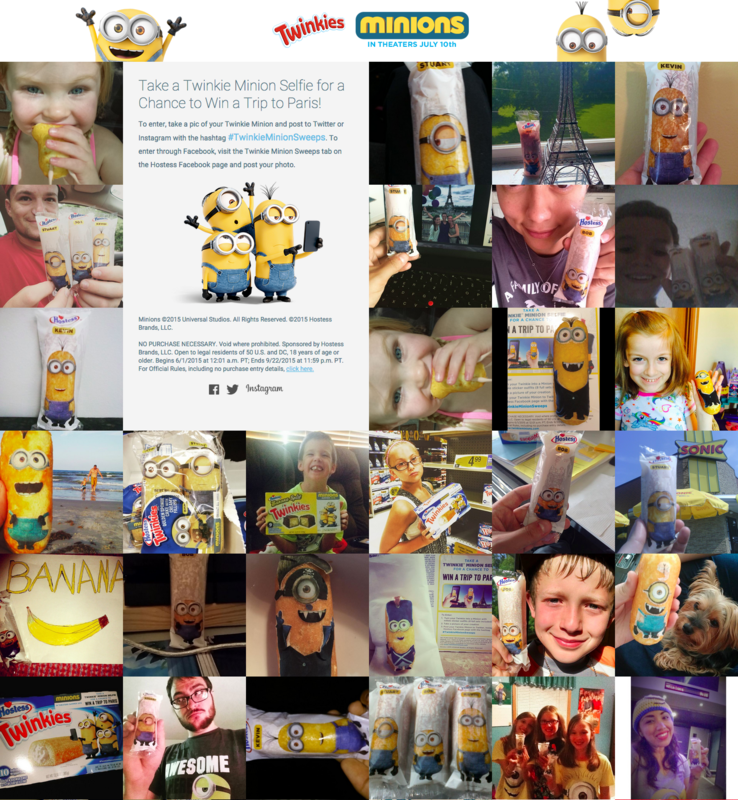 Hostess capitalized on the fact that Twinkies look just like Minions and partnered with Universal to create TwinkieMinions.com to provide fans with the opportunity to win a trip to Paris. Fashion Designer Marc Jacobs put out a casting call to find the “Next Face of Marc Jacobs”. 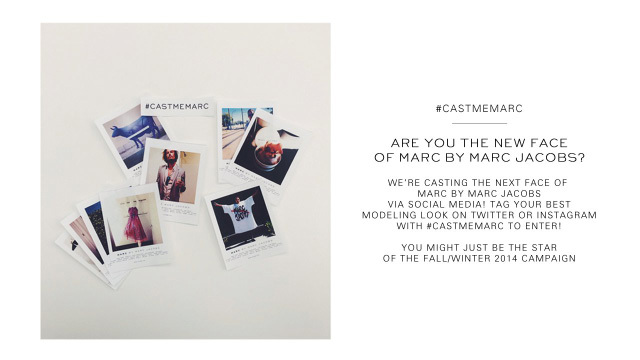 To become eligible, fans posted to Instagram or Twitter using the hashtag #CastMeMarc . Within one day they received 15,000 entries and by the campaign’s end, reported a total tally of 70,000. Beats did a campaign called Solo Selfie to promote Solo2. With the support of some major celebrity talent, Beats has asked consumers to take a video selfie from one side of the headphones to the other and post using #SoloSelfie. Over 9,000 users participated. California Pizza Kitchen (CPK) designed What We Do For Love during Valentine’s Day and tapped influencers, including top talent from The Bachelor, to post what they do for love along with #CPKLoveSweeps. Participants vied for the opportunity to receive CPK for a year, and all images were pulled into a feed gallery app, creating an insta-community centered on CPK and Valentine’s Day. 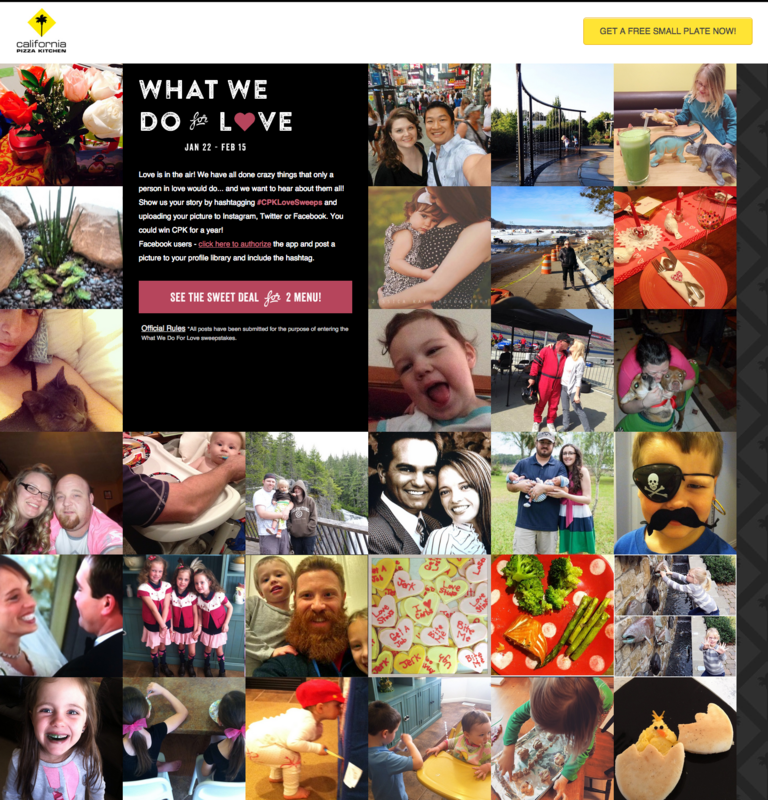 CPK followed the campaign with a Dear Mom sweepstakes that allowed fans to post selfies celebrating their moms for a chance to win a trip to Las Vegas. Next week in Part Two of this post, we will address how you can measure the impact of Selfie campaigns, as well as best practices and things to consider when planning your campaign.